Australia's luxury apartment boom shows little sign of slowing with local developer Gurner and Chinese group Poly both reporting strong sales at weekend launches of new projects. Gurner announced the $60 million sell-out of its 74 Eastern Road project (pictured above) after just three days while Poly sold 82 per cent of the 235 apartments, worth more than $160 million, at its first residential project in Sydney, Poly Horizon (pictured below) at Epping. Poly’s Marketing Director Philip Best said the interest in Poly Horizon proved strong from the initial registrations of interest campaign and as such has resulted in the impressive sales result. “The large majority of the purchasers in Poly Horizon were local buyers and owner occupiers who were familiar with the convenient lifestyle offering of Epping as well as the outstanding uninterrupted views the project will offer,” Mr Best said. "The majority of buyers being owner-occupiers is further testament to the high quality of the design of the development." Gurner's 74 Eastern Road development, a collaboration with interior designer, David Hicks, architect, Elenberg Fraser and landscape architect, Jack Merlo, featured 71 luxury apartments in one of Melbourne’s most sought-after pockets of suburban South Melbourne, abutting Albert Park and the Albert Park Lake. Gurner first launched registrations of interest to its VIP database in December, releasing publicly to the market shortly afterwards where purchasers snapped up all 71 apartments in over just three days on the market, including 15 stand-alone sales each reaching upwards of $1.5m - $3.5m. The project’s Black Penthouse Collection achieved over $10.5m in sales in just under an hour from owner occupiers either downsizing from a luxury home or ‘upsizing’ from an existing apartment. Contrary to recent reports suggesting Melbourne’s property market had started to cool off, Gurner founder and director, Tim Gurner, said the success of 74 Eastern Road reflected shifting market demands towards high-end apartments as owner occupiers become increasingly willing to explore luxury apartment living over the high-maintenance lifestyle of a traditional family home. “We have witnessed a profound changing sentiment towards luxury apartment living over the past 12 months, and we believe this is only the tip of the iceberg in terms of satisfying that demand. “Our research indicates a surging demand for ultimate luxury apartment living and in the case of 74 Eastern Road, our instincts were right, with over 50 percent of our purchasers classed as downsizers or empty nesters. “Was it a risk for us to skew a project so heavily towards one end of the market? Absolutely. But our previous luxury projects in Brisbane and Collingwood had tested the market for us and we felt confident there was enough demand in this higher end of the luxury owner occupier market to warrant a project of this calibre. 74 Eastern Road is the first of three new projects GURNER™ will bring to the market in the next 18 months in South Melbourne alone. 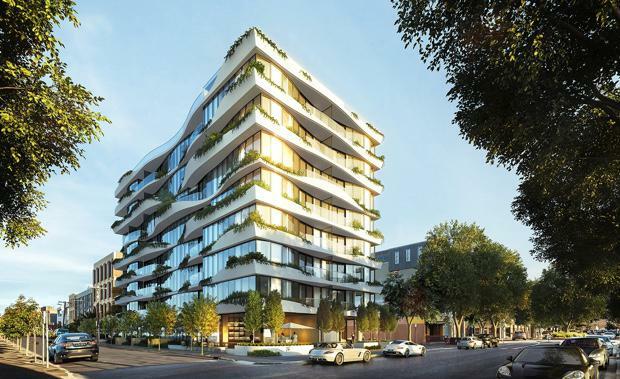 Mr Gurner said South Melbourne had become a key strategic location for the developer as the next hot-spot for luxury apartment offerings, particularly with the maturing downsizer market.